What type of videos get on FWTV? At familywebtv.com, you will find videos that teach you new ways to have fun with your kids but also, you will learn solutions to ongoing problems that you might be having in your household. #3: Videos that provide solutions to ongoing issues but do so in such a way that you end up having fun with your family. How do you get your videos on FWTV? In the future, you will be able to upload videos to our site. But that's down the road. For now, please contact us so we can come to you. 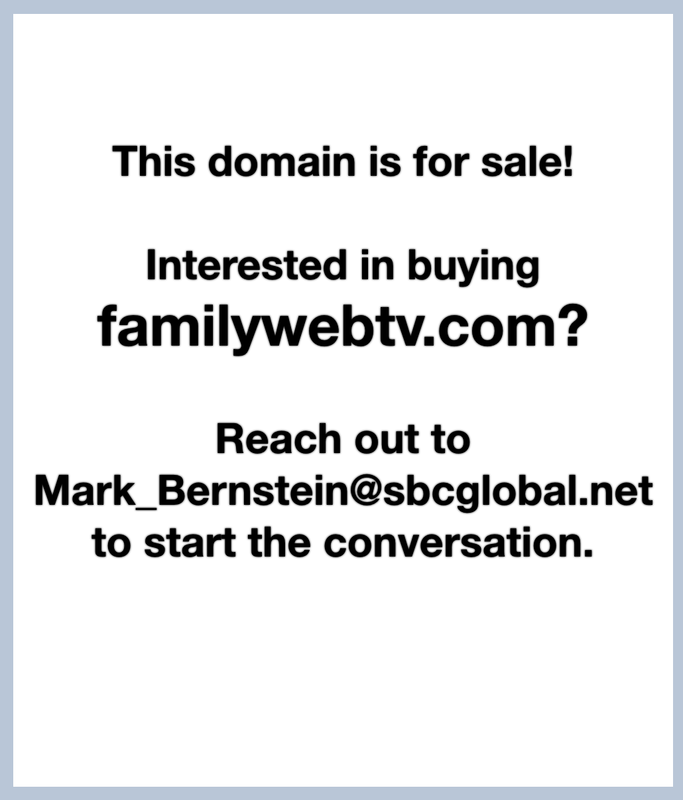 Just reach out via email at familywebtv@gmail.com, let me know what your idea is, and we’ll go from there. Remember, I live in Central Indiana so if you’re outside the 317 area code, for now, you’ll just have to hold tight. I’ll keep your name on file and if FWTV takes a field trip to you area, I will let you know! What kind of video would we shoot? Think about your successes at home. What works? What problems have you been able to solve creatively? Being a family has many facets. Think about what works well in your home and share it with Family Web TV! * Do you have a bedtime routine that your kids look forward to? * How do you encourage your children to eat their vegetables? * What special traditions do you have? * What game have you created that makes getting up for school easier? * When it comes to disciplining your children, what creative method work? * What do you do in the car to make long trips tolerable? * What does your family do on a rainy Summer afternoon? * How does your family have fun together on a cold Saturday morning? * During the shoot, please encourage your children to play an active role in videos. * Make sure your idea/story can be told in about 2 minutes. * Remember your audience. Family Web TV is geared towards families – parents and children. All content needs to be appropriate for the youngest of eyes. * When reaching out to familywebtv@gmail.com, please provide a brief description of your video. Include a possible title, subject/issue being addressed, your family last name, location (state and/or city), and phone number. * Please view already posted videos as samples.